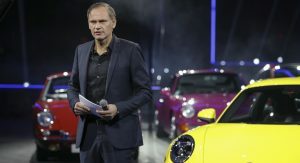 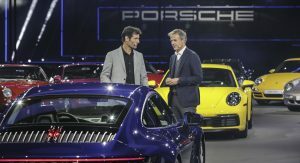 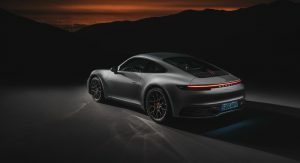 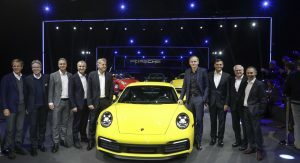 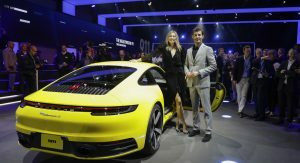 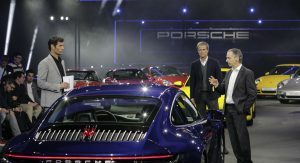 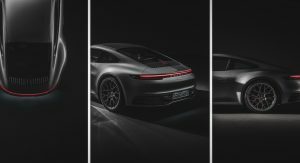 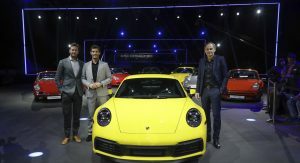 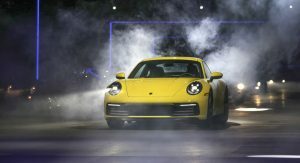 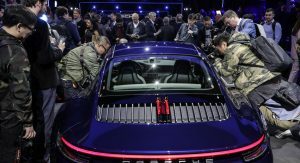 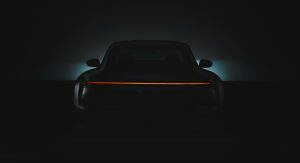 Porsche has officially unveiled the eighth generation 911, also known as 992, at the LA Auto Show, opening a new chapter for the iconic German sports car. 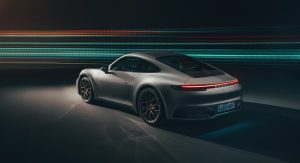 And while we’re already familiar with the new evolutionary looks of the 2020 911 thanks to countless scoops and leaks, Porsche has plenty of details for us to delve in. 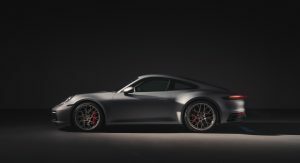 For starters, the body of the new 992 is now wider than the outgoing 991; the front is 45mm (1.77in) wider, enabling a GT3-sized front track, while the rear body width on the Carrera S and Carrera 4S is now the same with the previous 911 GTS models, at 1,852mm (72.91in). 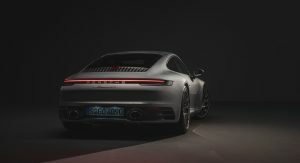 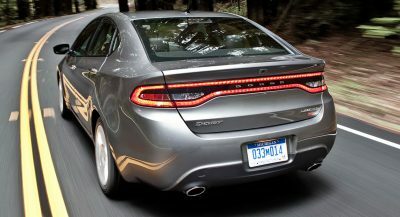 Other highlights include the electronic door handles that sit flush with the body, new LED headlights, bigger wheels that measure 20 inches at the front and 21 inches at the rear in diameter, and a light bar that runs across the rear end. 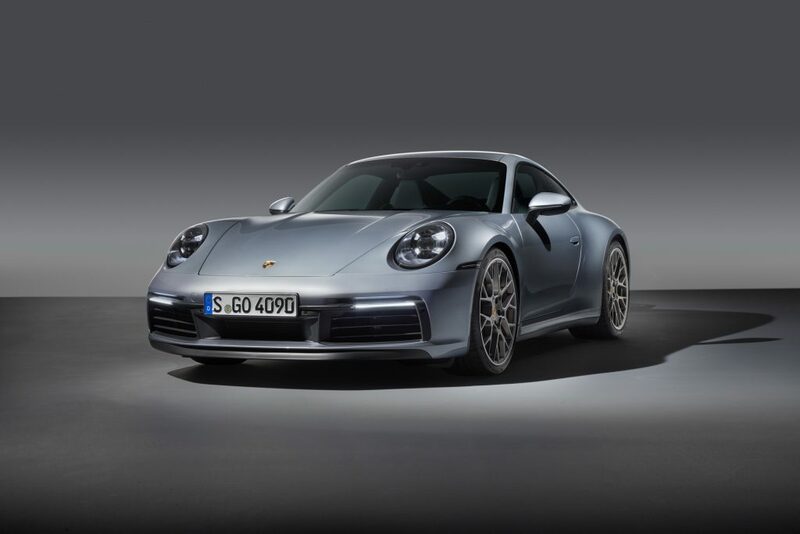 The outer skin of the new 911 is made out of aluminum, apart from the front and rear ends. 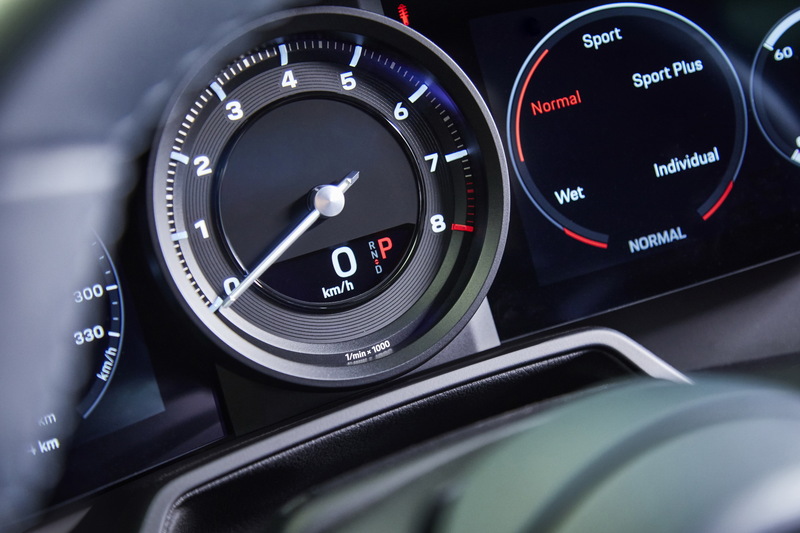 The biggest change however comes inside, with a completely redesigned dashboard that integrates a 10.9-inch infotainment system, a digital instrument cluster with a centrally mounted analogue rev counter and a redesigned gear selector for the new eight-speed dual-clutch transmission. 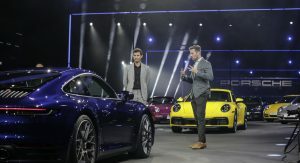 The new transmission was apparently necessary as it’s compatible with plug-in hybrid powertrains that are expected to debut in the 992 later down the line. There will be a manual seven-speed option as well, but customers will have to wait a few months after the 992’s market launch. 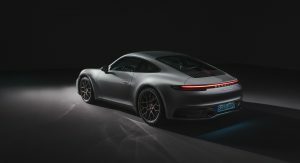 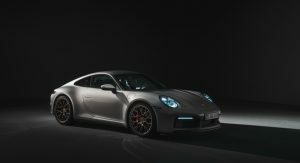 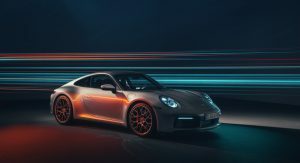 Porsche has so far announced the specs of the Carrera S and Carrera 4S models only; these still use the turbocharged 3.0-liter flat-six engine, which now makes 23hp more than the outgoing model, at 443hp (450PS). 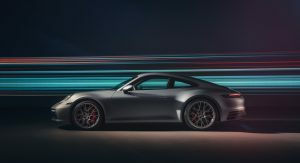 When fitted with the eight-speed PDK transmission, the new 992 Carrera S Coupe needs just 3.5 seconds for the 0-60mph (4S: 3.4 seconds). 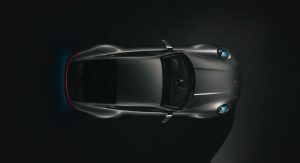 Add the optional Sports Chrono pack and the 0-60 drops by a further 0.2 seconds. 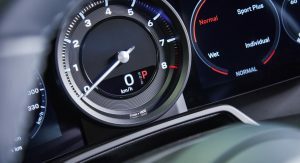 Top speed for the S is set at 191mph (307km/h) and for the 4S at 190mph (305km/h). 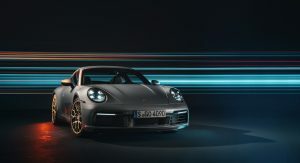 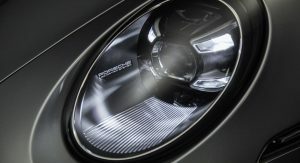 Porsche has also armed the new 911 with a range of advanced driver assistance systems, which include the new Wet mode as standard in all models. 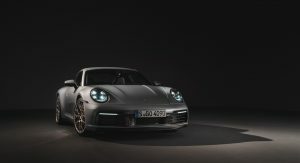 The new system utilizes acoustic sensors in the front arches, which detect when the road is damp and primes the stability control and anti-lock brake systems accordingly. 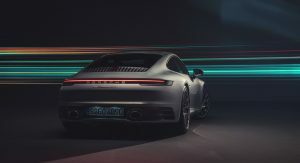 Other systems available include a camera-based warning and brake assist system fitted as standard, as well as Night Vision Assist, which uses a thermal imaging camera, and an adaptive cruise control with stop-and-go functionality. 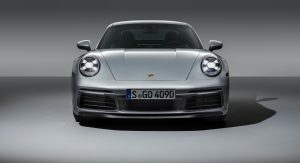 Carfection and Carwow give us an early tour of the new Porsche 911 at the videos linked below. 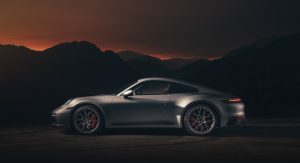 It’s beautiful…but it really is outgunned by the likes of the AMG GT, Audi R8, Honda NSX and Lexus LC 500 in the looks dept. 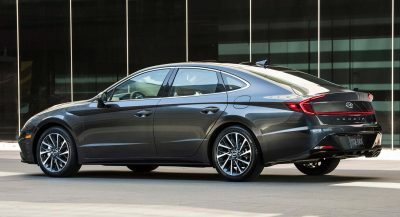 The Merc, Audi, Lexus will inevitably sound a whole lot better too. 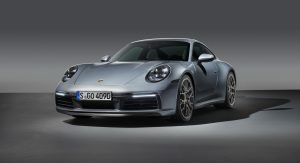 There is no doubt this new 911 and the aforementioned vehicles all drive and handle spectacularly well. 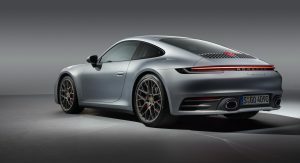 I guess this car is for someone who must have a 911. 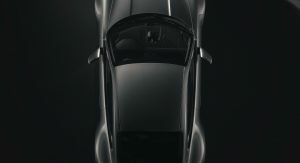 No.Its a car for someone who wants perfection…and I am not a Porsche fan… It can/is be outgunned only by Ferrari. 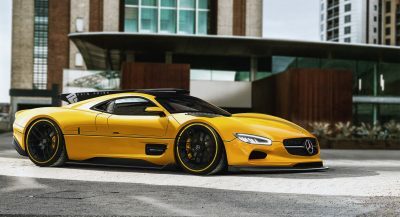 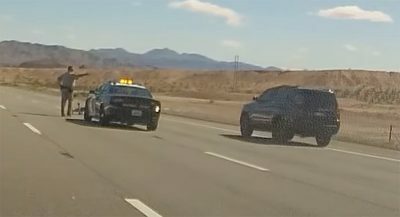 i want this for the next need for speed game.